A brand new site, created exclusively to showcase Doctor Who (and spin-off) crossover fanfictions. “But there’s already so many sites out there like that,” you might say. Well, technically that is true–fanfiction.net has categories for Doctor Who and crossovers both, Whofic focuses entirely on, well, Doctor Who fanfiction, and then there are the assorted personal sites and deviantArt and so many other fanfiction and Doctor Who sites. But that isn’t… quite what I’m doing here. First of all, while I might post some of my own fanfics here (along with links to where else my writing can be found 😉 ), mostly I plan to just link to the stories other people have written, and occasionally review some of the ones I like best. Second, this site isn’t for just any crossover out there. 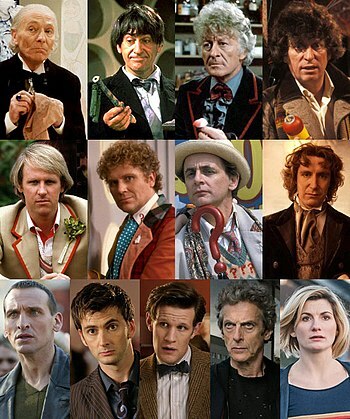 No, this one focuses on Doctor Who and other shows that the Who actors have been in. And, rarely, perhaps Doctor Who crossed over with real person fiction. There will be no Doctor Who/Star Trek crossovers featured here, or Torchwood/Buffy, or anything of the sort. No, I’ll feature Tenth Doctor fanfics crossed over specifically with other things David Tennant has played in, Rose Tyler fics with other things Billie Piper’s been in, Jack Harkness fics with John Barrowman’s other roles… you get the picture. This site is intended specifically to feature crossover fics that feature these lookalikes. I might include animated things that only feature an actor’s voice (Huyang of Star Wars Clone Wars, for instance), or I might not, but my personal interest is in those stories in which one character can legitimately be mistaken for another… whether for humorous results or tragic doesn’t really matter. May also include multiple Who characters portrayed by the same actor–perhaps someone out there would like to write about Peter Capaldi’s “Caecilius” from the Fires of Pompeii meeting Peter Capaldi’s “12th Doctor,” for instance. Within those limitation, I’m open to suggestions. If you know a good crossover fic, or decent fanfic author, or another site worth linking here, or even something one of the actors has been in that I haven’t listed (there will be a lot of those, especially with a brand new site), speak up!